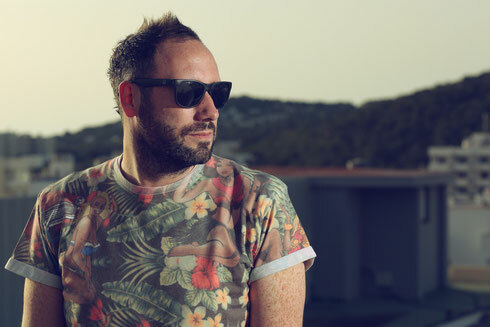 Doorly will make his return to Australia, playing eight dates across the country including Beyond the Vally festival in Victoria. Doorly rose to fame off the back of his Afterparty events in Huddersfield, has turned in Essential Mixes for Radio 1, has DJed at many major clubs and festivals and, for a while, was Usher’s personal warm up DJ, as well as running his own label. He now releases on Cajmere’s Cajual Records and his first release ‘Groove Me' sat in the Traxsource and Beatport Top 10 for over a month. As well as the production he does on his own, Doorly has also worked with The Scissor Sister’s Jake Shears as AVEC, also featuring Shadow Child, and has produced tracks like ‘Dissapearer’ featuring The Scissor Sister’s Jake Shears. The track picked up Radio 1 backing, right through to the daytime shows. Continuing his work with Shadow Child, June 2014 brought a more underground single called ‘Piano Weapon’ that was signed to Polydor. Alongside this, his relationship with Green Velvet is growing ever stronger. It has seen him release a collaborative track with the Chicago DJ on Relief Records called ‘Money’, and more recently a collaboration with him under his Cajmere Guise, which was one in the series of many more to come from the pair. He has worked with the likes of DJ Pierre, plus UK producer Switch and American Harry Choo Choo Romero. Last summer, he mixed the latest ‘Southern Fried & Tested’ compilation and then released his part in the ‘Toolroom Knights’ compilation. He also marked his eight season on the White Isle and his continued love and commitment to the island’s parties with an extensive gig schedule with almost 50 dates in the Balearics. These included every Monday Night at Pacha and, of course, many dates at his home Ibiza Rocks. He also has two radio shows that go out on Thursdays on London’s Rinse FM and also out in the States the dance station ‘Evolution Radio’.